PLEASE READ THESE KCON 2017 LA MCOUNTDOWN K-POP DANCE COVER CONTEST OFFICIAL RULES (“OFFICIAL RULES”) CAREFULLY. IN CONSIDERATION OF CJ E&m AMERICA, INC. PERMITTING YOU TO PARTICIPATE IN THE CONTEST, WHICH YOU ACKNOWLEDGE IS GOOD, VALUABLE, AND SUFFICIENT CONSIDERATION, YOU AGREE TO BE BOUND BY THESE OFFICIAL RULES. THESE OFFICIAL RULES ARE A CONTRACT THAT INCLUDES LIMITATIONS OF YOUR RIGHTS AND REMEDIES. ELIGIBILITY & SPONSOR: The KCON 2017 LA MCountdown K-Pop Dance Cover Contest (“Contest”), sponsored by CJ E&M America, Inc. (the “Sponsor”), is open only to legal residents of the contiguous United States and the District of Columbia (excluding residents of Rhode Island) (“Eligibility Area”) who comply with these Official Rules in all respects. Participation in the Contest is limited to individuals eighteen (18) years of age or older (as of the date the individual commences participation in the Contest) or minors thirteen (13) years or older with parental consent documented in a completed KCON 2017 LA MCountdown K-Pop Dance Cover Contest Parental/Guardian Consent Form (the “Consent Form”). Minors who do not obtain a valid, completed Consent Form are not eligible to enter or win. Employees, officers, and directors of Sponsor or Sponsor’s parents, subsidiaries, and affiliates, and the immediate family members of such individuals (spouse, parents, siblings, children, legal guardians, in-laws, grandparents, and grandchildren, regardless of where they reside) and members of the same households (whether legally related or not) of such individuals, are not eligible to enter or win. Contest is void outside the Eligibility Area and wherever prohibited by law or where the registration or filing requirements of any state or local jurisdiction have not been complied with. CONTEST DESCRIPTION: Individuals who meet the eligibility requirements and who desire to participate in the Contest and agree to be bound by these Official Rules (the “Entrant(s)” or “you”) have the opportunity to win a Prize (as described in Paragraph 7) by competing in a dance video competition, set to Super Junior’s “Sorry Sorry,” BTS’ “I Need You,” or Produce 101’s “Pick Me” (the “Contest Songs”). Entrants must create a dance cover video (original choreography or cover dance) set to the Contest Songs (the “Recording”). 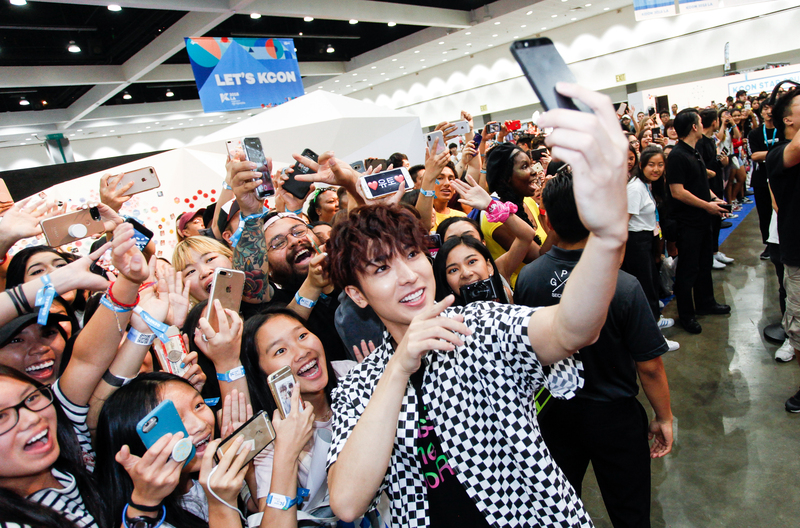 During the Recording Submission Period (as defined in Paragraph 3), Entrants must submit their Recording to Sponsor at contests@kconusa.com. Once the Recording Submission Period ends, all Recordings will undergo judging by select Sponsor staff members and other authorized personnel, using criteria outlined in Paragraph 6. The highest scoring Recordings will be awarded Prizes (the “Winner(s)”). Contest Term: The Contest shall begin at 10:00 a.m. Pacific Time (“PT”) on August 3rd, 2017, and end at 12:00 p.m. PT on August 13th, 2017. On or about August 15th, 2017. If Entrant is a Minor aged 13 years or older, send Sponsor a fully-executed Consent Form. Create an eligible Recording that conforms to the Recording Guidelines in Paragraph 5. 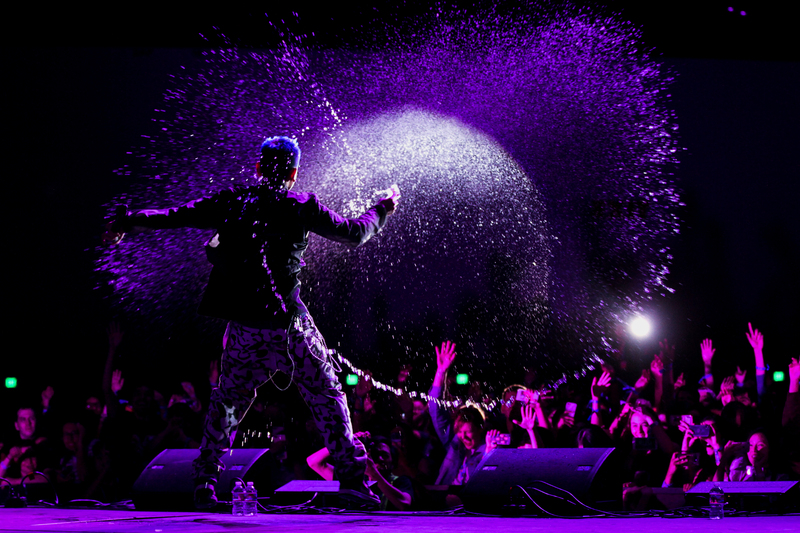 Submit your Recording to Sponsor at contests@kconusa.com. By completing the foregoing, you will be entered into the Contest. Use of any automated system to participate in the Contest or otherwise assist in participation or voting is strictly prohibited and will result in disqualification. Please refer to Paragraph 9 for further information regarding disqualification. Sponsor is not responsible for lost, late, incomplete, invalid, unintelligible or misdirected entries, which will be disqualified. In the event of a dispute regarding who submitted a Recording, the Recording will be deemed submitted by the Authorized Account Holder (as defined below) of the e-mail address from which the Recording was submitted or sent. A Winner may be requested to provide Sponsor with proof that he/she is the Authorized Account Holder of the e-mail address associated with a winning Recording and that all eligibility requirements are met. “Authorized Account Holder” is defined as the natural person who is assigned to an e-mail address by the Internet access provider, online service provider, interactive computer service, or other organization (e.g., business, educational institution, etc.) that is responsible for assigning e-mail addresses for the domain associated with the submitted e-mail address. No entries from automatically generated e-mail addresses shall be accepted. Entrants agree to and understand that the Recordings may be made available to the public, including without limitation, on a pre-show roll at KCON 2017 LA and on the Internet. Whether or not Recordings are published, Sponsor does not covenant or guarantee any confidentiality with respect to any Recordings. Each Recording must be an original creation of the submitting Entrant which is under no restriction, contractual or otherwise, that will prevent Sponsor’s use of the Recording and each Recording must be free of any and all liens, encumbrances and claims of third parties. Entrant acknowledges, agrees and warrants that, nothing in the Recording infringes on any copyrights, confidential information, trade secrets or trademarks belonging to any person or entity other than the Entrant, absent a suitable license, clearance or permission agreement (proof of which is required upon submission), or violates any person’s rights of privacy or publicity and that all necessary releases and permissions have been secured. Entrant agrees to indemnify and hold harmless Sponsor, its parents, affiliates and subsidiaries, and their respective officers, directors, shareholders, employees, representatives, agents, subcontractors, and licensees (collectively, the “Promotion Parties”) from and against any and all claims, demands, damages, costs, liabilities and causes of action of whatsoever nature that are based upon or arise out of any breach by Entrant of these Official Rules or the warranties and representations made by Entrant in this paragraph. Modifying, enhancing or altering a third party’s preexisting work does not qualify as Entrant’s original creation. By submitting the Recording to Sponsor, the Entrant agrees, for zero compensation, to grant Sponsor, its parents, subsidiaries and affiliates, all intellectual property rights in the Recording and each of its constituent parts, which rights include, without limitation, the Sponsor’s right to publish, make available to the public and/or reproduce the Recording through any media available at any time, in perpetuity, on any related or affiliated websites, in any promotional materials, whether related or unrelated to the Contest, and at any other location, whether physical or online, that Sponsor deems appropriate and necessary, in its sole discretion. Entrant warrants that any so called “moral rights” in the Recording have been waived and Entrant acknowledges and agrees that Sponsor may use any ideas from any Recording or other submitted materials, whether or not Entrant has been awarded a Prize in connection with any such Recording or other materials. Entrant agrees to release, defend, indemnify and hold harmless the Promotion Parties from any and all claims, demands and causes of action of any nature whatsoever which Entrant or Entrant’s heirs, representatives, executors, administrators, or any other persons acting on Entrant’s behalf or on behalf of Entrant’s estate, have or may have by reason of: (i) Sponsor’s exercise of any rights granted by Entrant in this paragraph; and/or (ii) claims based on violation of any right of publicity or rights of personality, infringement of copyright or trademark, libel, slander, defamation, invasion of privacy, loss of earnings or potential earnings in connection with Sponsor’s use of the Recording and any portion thereof, or the likeness of any natural person therein. Entrants are responsible for securing necessary permissions, talent and location releases, and licenses for any visual and audio material contained in the Recordings. Sponsor is not responsible for any expenses incurred in the production and delivery of the Recordings. LIMITED TO ONE (1) RECORDING ENTRY PER PERSON. Attempts to submit more than one (1) entry by the same individual may result in disqualification of all entries. is otherwise unlawful, in violation of or contrary to any applicable federal, state, or local laws and regulations. Any failure of a Recording to comply with the above requirements and restrictions, as determined by Sponsor in its sole discretion, may result in disqualification of Entrant. Without limitation, Sponsor reserves the right to disqualify any Recording that refers, depicts or in any way reflects negatively upon the Sponsor, the Contest or any other person or entity, does not comply with these Official Rules, or if Sponsor receives notification about any potential infringements or breaches of law or any other reason set forth herein. Recordings must be suitable for presentation in a public forum, in the sole determination of Sponsor. Recordings that are unclear, not viewable, incomplete, in excess of the limits stated above, or mechanically reproduced will be disqualified. False, fraudulent or deceptive entries or acts shall render Entrants ineligible to win. A Recording must be made by the Entrant in accordance with these Official Rules. Recordings made by any other individual or any entity, and/or originating at any other website or page, including, but not limited to, commercial contest or contest subscription notification and/or entering service sites, will be declared invalid and disqualified for this Contest. The use of any device or computer software to automate the entry process or voting process is strictly prohibited. All Recordings shall become the exclusive property of Sponsor and will not be returned. The Sponsor’s database clock will be the official timekeeper for this Contest. The Promotion Parties and any and all Internet server(s) and access provider(s), and each of their respective parents, affiliates, subsidiaries, retailers and advertising and promotion agencies, and all of their respective officers, directors, shareholders, employees and agents are not responsible for: any incorrect or inaccurate entry information; human errors; technical malfunctions; failures, omissions, interruptions, deletions or defects of any network, computer online systems, computer equipment, servers, providers, or software, including without limitation any injury or damage to Entrant’s or any other person’s computer relating to or resulting from participation in the Contest; inability to access Sponsor’s website or submit Recordings to Sponsor’s e-mail address; theft, tampering, destruction, or unauthorized access to, or alteration of, the Recordings; data that is processed late or incorrectly or is incomplete or lost due to telephone, computer or electronic malfunction or traffic congestion on the Internet, any website, or for any other reason whatsoever; typographical, printing or other errors; any Recordings which are submitted late, lost, incomplete, misdirected, stolen, mutilated, illegible, or any combination thereof. Sending Recordings to contests@kconusa.com is not considered proof of delivery or receipt. By entering the Contest, Entrants (and their legal guardian/parent(s), where applicable) affirm that they have read, accepted and agreed to be bound by these Official Rules. The Required Documents may request information of each Entrant, including full name, home phone number, e-mail address, date of birth, and parent/legal guardian’s name and e-mail address, if applicable. A potential winner’s failure to respond to any notifications, failure to return all Required Documents in the stated three (3) day time period, or failure to be in compliance with these Official Rules in any way may result in the potential winner being disqualified, and an alternate winner may be selected at Sponsor’s sole discretion. Notwithstanding any other provisions of these Official Rules, if at any time during the administration of the Contest, the Sponsor determines that not enough or no eligible Entrants exist from which to determine the Winners, then Sponsor may in its sole and exclusive discretion may either suspend or terminate the Contest or modify it (or any parts thereof) in any equitable manner that Sponsor deems appropriate, including, without limitation, by not awarding any one or more of the Prizes set forth in these Official Rules. PRIZES: Winning Entrants will have their Recording, or a portion thereof, published and presented on a pre-show roll at KCON 2017 LA (the “Prize(s)”). Prizes do not have a cash value. Prize details not specified herein will be determined by Sponsor in Sponsor’s sole discretion. Odds of winning depend on the number of Entrants. Prizes are not transferable, assignable, or redeemable for cash. No substitution for a Prize by a Winner will be allowed. Prizes cannot be sold, bartered, or exchanged. By accepting a Prize, the Winner acknowledges compliance with these Official Rules. Awarding of a Prize is subject to the Winner’s acceptance of all requisite conditions within these Official Rules and Winner’s agreement to grant the rights set forth in these Official Rules and submission of the Required Documents detailed in Paragraph 6. If necessary, due to the unavailability of a Prize for any reason, a replacement prize of equal or greater value may be awarded at Sponsor’s discretion. If any Prize notification is returned as undeliverable for any reason, or if Winner is disqualified for any reason, Sponsor may award such applicable prize to an alternate Entrant or if time does not permit, not award such Prize. WINNER NOTIFICATION; PRIZE CLAIM: The Winners will be determined and notified via email on August 15th, 2017. Sponsor shall announce the Winners on Sponsor’s website and social media accounts. After notification of winning, the Winners will be required to complete and return the Required Documents. Awarding of a Prize is subject to the Winner’s acceptance of, and compliance with, these Official Rules and verification of eligibility. If requested by Sponsor, Entrants must show photo identification for Sponsor to verify that the eligibility requirements are met. DISQUALIFICATION: Sponsor may disqualify an Entrant (and cause any Prize that has been awarded, if any, to be forfeited) due to any of the following: (a) the Entrant fails to comply with any of the terms, conditions, restrictions, or limitations of these Official Rules (as determined by Sponsor in Sponsor’s sole discretion); (b) the Entrant fails to respond to the winner notification or any other notice within three (3) days after its transmission; (c) the Entrant fails to complete, sign, and return the Required Documents after its receipt; (d) the inability of Sponsor to contact a potential winner or the return of any winner notification, notice, or Prize as undeliverable; or (e) an Entrant’s failure to maintain his/her behavior in accordance with all applicable laws and generally-accepted social practices in connection with participation in any Contest-related or Prize-related activity, including, without limitation, if the Entrant (i) is uncooperative or disruptive; (ii) annoys, threatens, or harasses any other person; (iii) uses profanity; (iv) demonstrates any lewd, sexually suggestive, or otherwise obscene gestures; (v) attempts or does cause serious harm or damage to person, property, or the reputation of Sponsor or any other Entrant; or (vi) performs an act defined by federal, state, or local statute or ordinance as constituting a criminal act. Further, if for any reason this Contest or part thereof is not capable of running as planned, or if this Contest or any website, page or e-mail address associated therewith (or any portion thereof), including but not limited to the Sponsor’s website or e-mail address becomes corrupted or does not allow the proper fair play of the Contest and processing of Recordings in accordance with these Official Rules, or if infection by computer virus, bugs, tampering, unauthorized intervention, actions by Entrants (or others), fraud, technical failures, or any other causes, corrupts or affects the administration, security, fairness, integrity, or proper conduct of this Contest, the Sponsor reserves the right to disqualify any individual implicated in such action and/or to cancel, terminate, modify, or suspend this Contest or any portion thereof. In the event this Contest is cancelled, the Sponsor may choose to, but is not obligated to, award the Prizes to Entrants from among all eligible, non-suspect Recordings received prior to the time of the action or event warranting such cancellation. 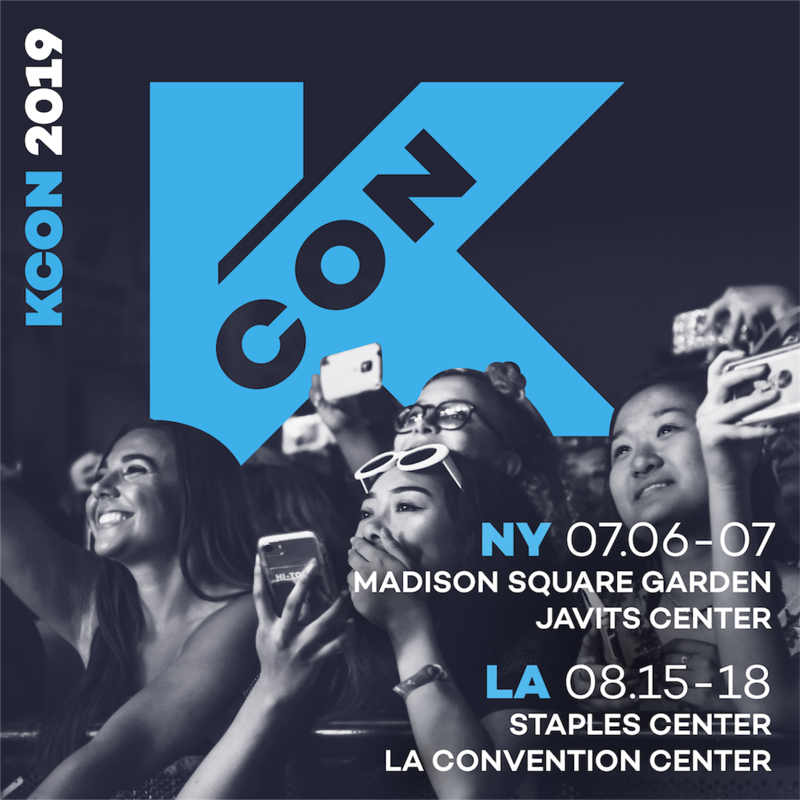 If such cancellation, termination, modification, or suspension occurs, notification will be posted at http://www.kconusa.com. ANY ATTEMPT BY AN ENTRANT OR ANY OTHER INDIVIDUAL TO DELIBERATELY DAMAGE ANY WEBSITE, PAGE OR E-MAIL ADDRESS (INCLUDING THE WEBSITE) OR UNDERMINE THE LEGITIMATE OPERATION OF THE CONTEST IS A VIOLATION OF CRIMINAL AND/OR CIVIL LAWS AND SHOULD SUCH AN ATTEMPT BE MADE, THE SPONSOR RESERVES THE RIGHT TO SEEK DAMAGES AND OTHER REMEDIES FROM ANY SUCH PERSON TO THE FULLEST EXTENT PERMITTED BY LAW. DISCLAIMERS: The Promotion Parties shall not responsible for any distorted or damaged entries, any communications-related malfunctions regarding or relating to the Contest, and disruptions, injuries, losses, or damages regarding or relating to the Contest caused by events beyond the control of Sponsor. In addition, Sponsor is not liable to a Winner or any other person for failure to supply a Prize or any part thereof, by reason of any acts of God, any action(s), regulation(s), order(s) or request(s) by any governmental or quasi-governmental entity (whether or not the action(s), regulation(s), order(s) or request(s) prove(s) to be invalid), equipment failure, terrorist acts, earthquake, war, fire, flood, explosion, unusually severe weather, hurricane, embargo, labor dispute or strike (whether legal or illegal), labor or material shortage, transportation interruption of any kind, work slow-down, civil disturbance, insurrection, riot, or any other cause beyond the Sponsor’s sole control. Prizes are awarded “as is, where is,” without warranty of any kind, express or implied, including without limitation any warranty of merchantability or FITNESS for a particular purpose. Sponsor is not responsible for any typographical or other printing errors in the offer or administration of the Contest. GOVERNING LAW; DISPUTE RESOLUTION: The laws of the State of California apply to and govern the Contest, as well as any disputes or claims arising from or in connection with the Contest. The parties agree that any and all disputes or controversies of any nature between them arising at any time shall be determined by confidential, final and binding arbitration, in accordance with the arbitration rules of JAMS to be held in Los Angeles County, California, before a single neutral arbitrator. The arbitrator shall be selected by mutual agreement of the parties or, if the parties cannot agree, then by striking from a list of arbitrators supplied by JAMS, with JAMS rules applied to break any deadlock in selecting an arbitrator. PUBLICITY AUTHORIZATION: By participating in the Contest, Entrant hereby authorizes and grants the right to the Promotion Parties the right to print, publish, broadcast, depict, reproduce, and use the Entrant’s name, portrait, picture, likeness, voice, statements attributable to him/her, city and state of residence, and other biographical information, for advertising and promotional purposes, throughout the world in any and all media, now known or existing at any time in the future, in perpetuity, without further approval, notification, or compensation. Entrant acknowledges and agrees that this authorization is intended to satisfy all consent requirements of California Civil Code sections 3344 and 3344.1, and Entrant hereby waives and releases any and all claims that Entrant may have or hereafter have against the Promotion Parties under such statutes or any other statutes or common law principles of similar effect. LIMITATION OF LIABILITY; RELEASE; INDEMNIFICATION: ENTRANTS WAIVE THE RIGHT TO CLAIM ANY DAMAGES WHATSOEVER, INCLUDING, BUT NOT LIMITED TO, PUNITIVE, CONSEQUENTIAL, DIRECT, OR INDIRECT DAMAGES, AGAINST THE PROMOTION PARTIES RESULTING FROM, ARISING FROM, OR IN CONNECTION WITH PARTICIPATING IN THE CONTEST OR ANY PRIZE ACTIVITY. By participating in the Contest, each Entrant (i) understands the Sponsor has not arranged for and does not carry any insurance of any kind for Entrant’s benefit and that Entrant will be solely responsible for obtaining and paying for any medical, life, accident, automobile, property or other insurance relative to Entrant’s participation in the Contest; (ii) agrees to obey all safety, traffic, and other applicable laws and shall not expose himself/herself or any other individual, whether participating in the Contest or not, to harm or danger of any kind; (iii) agrees to release, hold harmless, and indemnify the Promotion Parties from and against any and all claims, demands, actions, suits, losses, expenses (including, without limitation, reasonable attorneys’ fees and expenses), costs and liabilities of any kind whatsoever that arise or result from Entrant’s action, inaction, negligence, or other fault in connection with participating in the Contest; (iv) agrees that the Promotion Parties shall not be liable for personal injuries, death, damages, expenses or costs or losses of any kind resulting from participation or inability to participate in the Contest or parts thereof or acceptance of, use of or inability to use a Prize or parts thereof including, without limitation, claims, suits, injuries, losses and damages related to personal injuries, death, damage to or destruction of property, rights of publicity or privacy, defamation, or portrayal in a false light (whether intentional or unintentional), whether under a theory of contract, tort (including negligence), warranty or other theory; and (v) hereby releases the Promotion Parties from any and all liability and responsibility with respect to the Prize (including any property loss, damage, personal injury or death). WAIVER OF CALIFORNIA CIVIL CODE SECTION 1542: Entrants acknowledge that they have read and understood the provisions of California Civil Code Section 1542, which provides as follows: “A general release does not extend to claims which the creditor does not know or suspect to exist in his or her favor at the time of executing the release, which if known by him or her must have materially affected his or her settlement with the debtor.” Being aware of such statutory right, by participating in the Contest, Entrants expressly waive any rights under California Civil Code Section 1542 as well as any other statutes or common law principles of similar effect. GENERAL: Sponsor’s decisions are final and binding in all matters related to the Contest. The invalidity or unenforceability of any provision of these Official Rules will not affect the validity or enforceability of any other provision. In the event that any provision of these Official Rules is determined to be invalid or otherwise unenforceable or illegal, the other provisions will remain in effect and will be construed in accordance with their terms as if the invalid, unenforceable, or illegal provisions were not contained herein. Sponsor’s failure to enforce any term of these Official Rules will not constitute a waiver of that provision. Entrants agree to waive any rights to claim ambiguity of these Official Rules. Headings are solely for convenience of reference and will not be deemed to affect in any manner the meaning or intent of any provision. In the event there is a discrepancy or inconsistency between disclosures or other statements contained in any Contest-related materials and these Official Rules, these Official Rules shall prevail, govern, and control, and the discrepancy will be resolved in Sponsor’s sole and absolute discretion. Sponsor reserves the right to amend or revise these Official Rules at any time. Notice of any such change will be posted on Sponsor’s website. 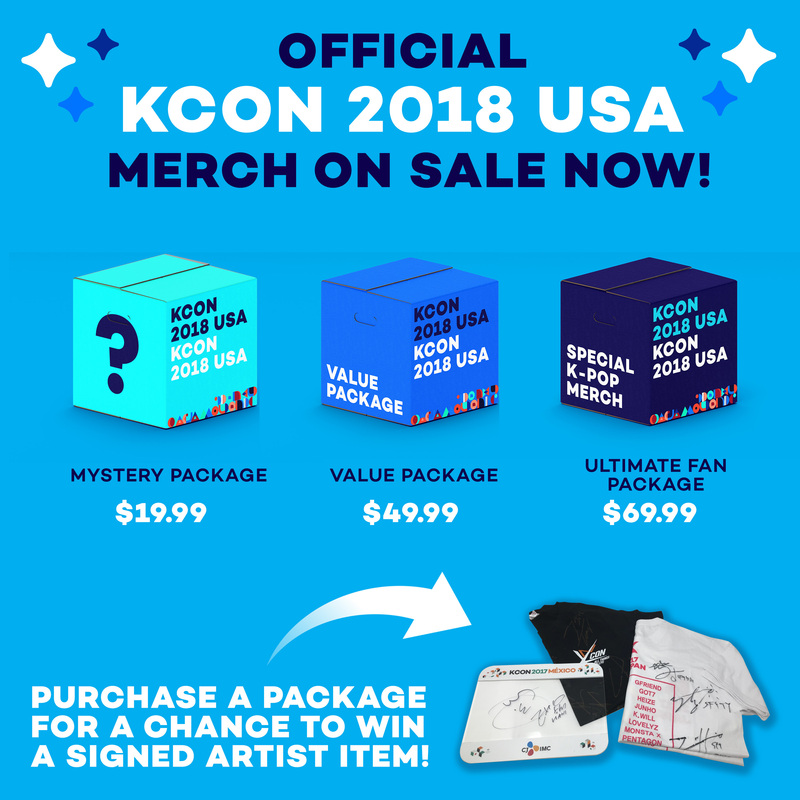 WINNERS LIST: Please visit http://www.kconusa.com for the official list of Winners and a copy of these Official Rules. The Winners list will be available after August 15th, 2017. Sponsor: CJ E&M America, Inc.